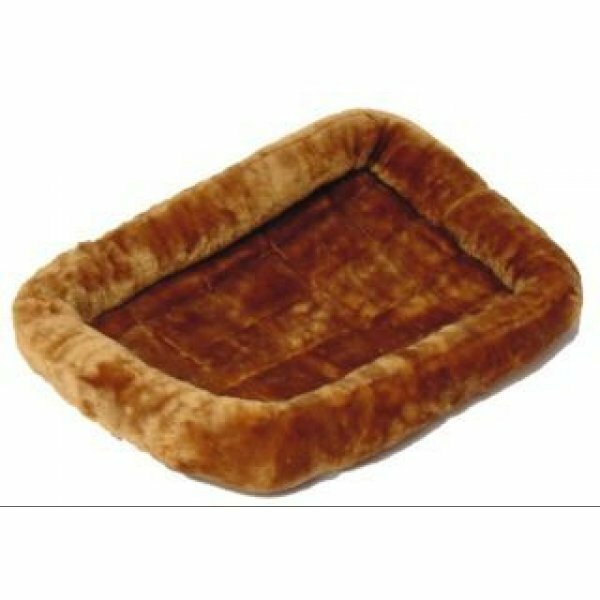 Quiet Time Pet Beds from MIDWEST are there whenever your special friend needs to catch a few ZZZ's. Ideal for use in crates, carriers and dog houses, or just by themselves! Soft and Strong for a long lasting bed. Quiet Time Pet Beds has different options and/or variations, please choose below. 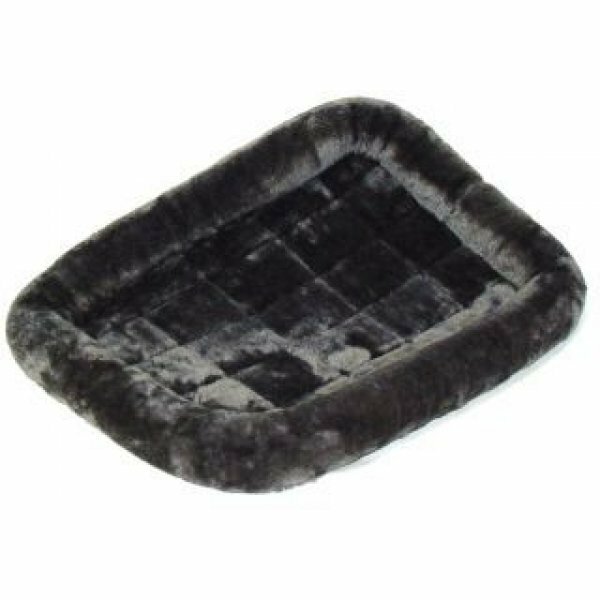 Quiet Time Pet Beds from MIDWEST are there whenever your special friend needs to catch a few ZZZ's. Ideal for use in crates, carriers and dog houses, or just by themselves! 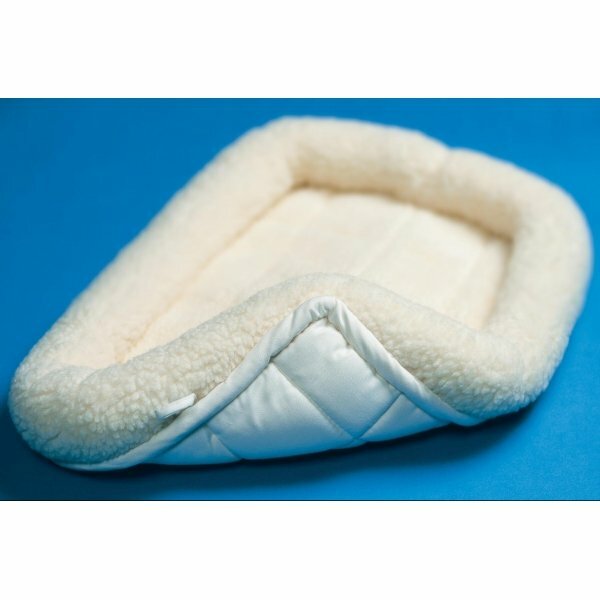 Made from ultra-soft synthetic sheepskin with polyester-filled bolsters and cushioned cotton base. Each folds for easy storage and travel and is machine washable. The perfect addition to any house with a pet. 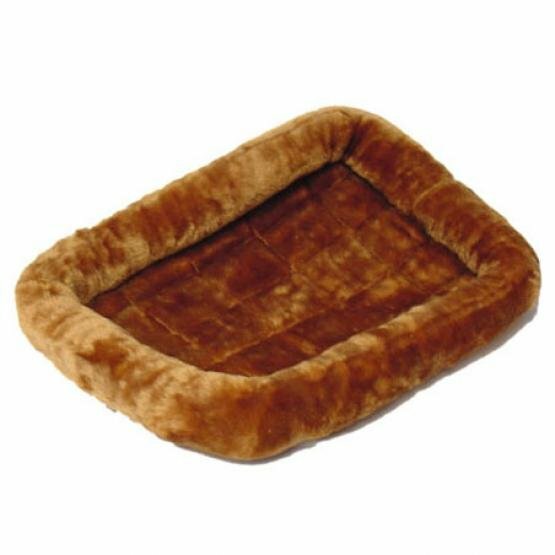 The MIDWEST Quiet Time pet bed provides the perfect area for your pet to call his/her own. The Quiet Time pet bed stain resistant and completely machine washable. 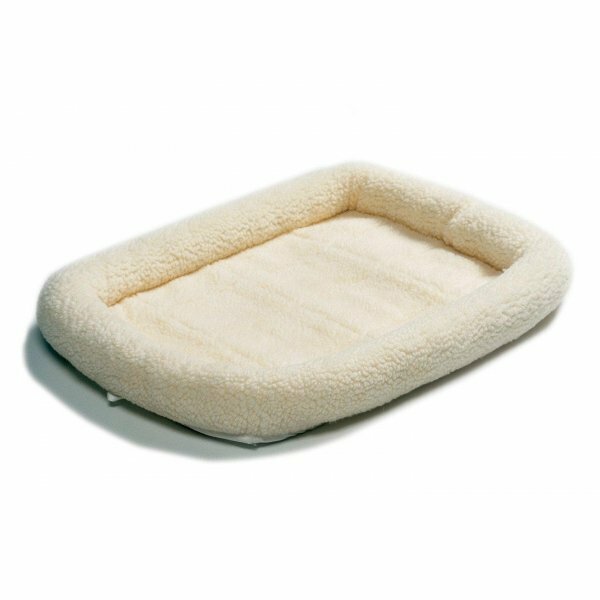 The Quiet Time Pet bed comes in a variety of fabric ranging from the very durable white synthetic fleece the very cozy synthetic fur in Pearl Gray and the very fashionable cinnamon. 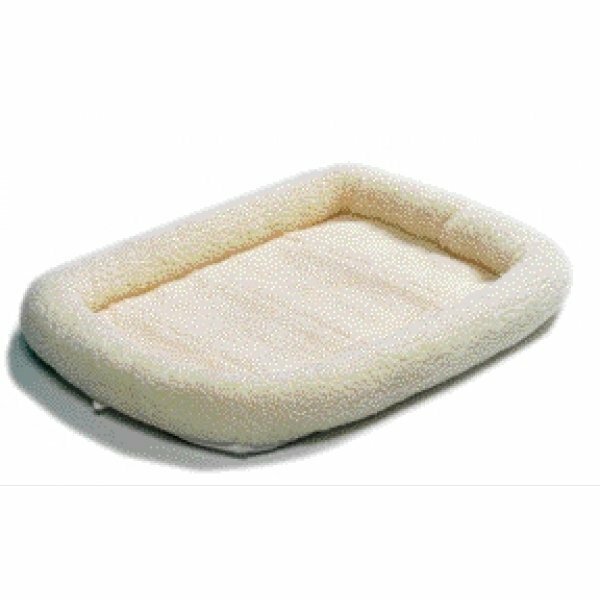 Quiet Time pet beds are made from ultra soft Synthetic Sheepskin and have a cushioned cotton base with comfortable Polyester filled bolsters. They keep pets cool in the summer and warm in the winter. Completely machine washable. Ideal for use in wire crates, plastic carriers and dog houses. Fits all 18 long midwest crates or for use as a stand-alone pet bed. WHITE 18 X 12 in. Keeps pets cool in summer, warm in winter. Great forextra small pets 2-10 pounds maltese, chihuahua, pomeranian. Use in midwest models 1222,600,1622. CINNAMON 22 X 13 in. Keeps pets cool in summer and warm in winter. Great forsmall pets 11-25 pounds. CINNAMON 24 X 18 in. GREY 24 X 18 in. Great formedium pets 26-40 pounds. CINNAMON 30 X 21 in. GRAY 30 X 21 in. CINNAMON 36 X 23 in. GRAY 36 X 23 in. 36x23 inch.Synthetic Sheepskin, Polyester-Filled Bolsters, Cushioned Poly/Cotton Base Construction Machine Washable. Great For Intermediate Pets 41-70 Pounds. CINNAMON 42 X 36 in. GRAY 42 X 36 in. WHITE 42 X 26 in. CINNAMON 48 X 30 in. GRAY 48 X 30 in. WHITE 48 X 30 in. CINNAMON 54 X 37 in. GRAY 54 X 37 in. WHITE 54 X 37 in. I purchased this bed for my "woodshed" dog. She has her place and loves this bed! She likes to curl up and feel surrounded and protected...at least, that's the way she looks! I have the Quiet Time Pads in Dog Kennels in various sizes ..ALWAYS GREY. I have some on the floor by themselves.